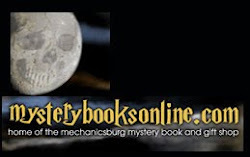 One of my New Year's resolutions was to update my website, which has grown tired. Step one was some new photos. Step two was contacting my webmaster - the one who put the site together for me while he was still in college, before he secured a full-time job with a tech giant in California - to see if he had time to tackle some changes. I chose my photographer and my webmaster for several reasons. Budget was definitely a contributing factor, as was loyalty (my web guy is my friend's son, and my photographer is the daughter of our youth minister), but the fact that they're both enthusiastic, talented and just starting out was important to me as well. As writers, we're always putting ourselves and our work out there, hoping someone will give us a chance, waiting to see our byline and our work published for all the world to see. We count on someone giving us that opportunity to show what we can do. Recently, my first novel was accepted by a small press, Lighthouse Publishing of the Carolinas. I was over the moon, and not just because I got a book contract, but also because of who offered it to me. Although I'm just at the beginning of this publication journey, I feel as though I've entered into a partnership. I didn't sign on the dotted line, drop off my work and go on with my life. I get to be a part of this process during the entire time my book is under construction. Maybe that's the norm - I don't know - I'm new to the fiction publishing game. All I know is that I like the rules I'm playing by. If you're not a hands-on person, you might choose a different path. And perhaps I'd love simply writing a check and handing off my website to someone who knows more about this stuff than I do (and that would be practically anyone! ), but I doubt it. I like knowing that I'm supporting those brave enough to spread their wings and fly toward their dreams, and I certainly appreciate the support of those who do that for me. 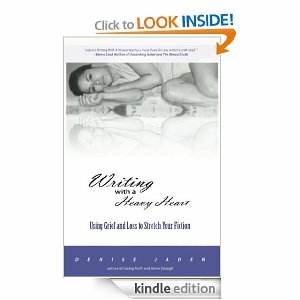 Denise Jaden's book Writing With A Heavy Heart: Using Grief and Loss to Stretch Your Fiction is free on Amazon Kindle on Feb. 9-10, 2013. If you're a writer, here's one book you won't want to miss. To celebrate, I'm posting about The Brown Bookshelf and their special project for February. The Brown Bookshelf was founded to raise awareness of wonderful and exciting African American voices in children's literature. Since 2008, one of their initiatives has been 28 Days Later, a month-long showcase of the best picture books, middle grade and young adult novels written and illustrated by African Americans. For more information about the authors and their latest creations, check out 28 Days Later every day this month. You can read more about the founders of The Brown Bookshelf here.